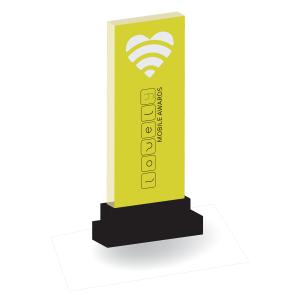 ✓ The Lovely Mobile Awards are an awards program brought to you by Lovely Mobile News and honour work done in the Mobile Marketing, Internet of Things, Digital, New Technology and Connected Devices fields. ✓ It is open to brands, agencies and ALL parties in marketing communications! ✓ There are NO categories, NO Multiple entry fees, you enter your project ONCE and the entry fee includes: Project(s) Entry/ Award Ceremony/ Party. ✓ The Jury, consisting of experts from the Marketing and Communications Industry, will decide what you should be awarded for. Examples of this are: Location Based, Location Data, Connected Devices/ IoT, Programmatic, Lead Generation, Best Use of Technology, Apps, Social Business, AR, VR, etc. ✓ You simply submit your Project by December 21st and the Judges will decide your Merit!